Welcome. 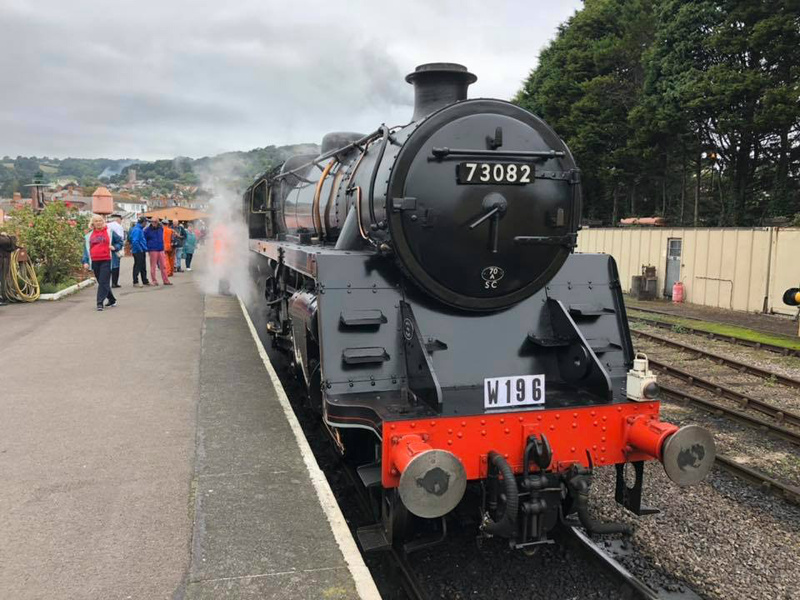 The Society owns the preserved British Railways Standard 5MT Steam Locomotive 73082 Camelot, which runs on the Bluebell Railway in Sussex, Southern England. Follow the links to learn more about us. Images published on this site are subject to a Creative Commons License, "Attribution-NonCommercial 3.0 Unported". (CC BY-NC-SA 4.0), see https://creativecommons.org/licenses/by-nc/3.0/ Photo, on shed at Bishops Lydeard, PETER GIBBS.